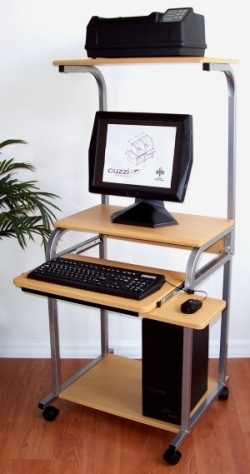 This compact narrow computer desk has been designed for laptop computers and desktop computers with CRT or LCD monitors as well. 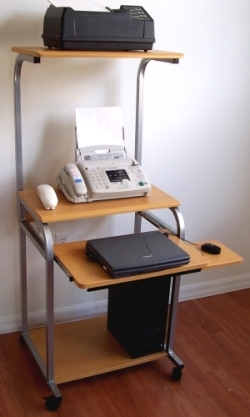 This item replaces the STS5801A, with a printer shelf that is 15" deep instead of only 13", to fit the all-in-one printer / scanner / copy / fax machines. 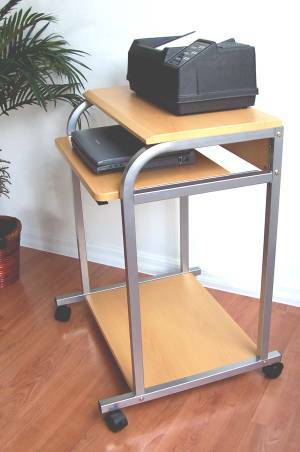 Very popular in dormitories, classrooms, medical offices and business in general, as a solution for adding extra computers in tight places. 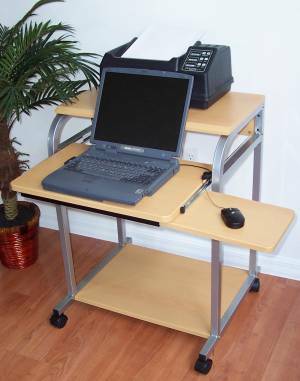 The small and narrow size of this desk facilitates parking this mobile computer workstation in any location, even as a corner desk. The generous monitor headroom holds monitors up to 21" in height. 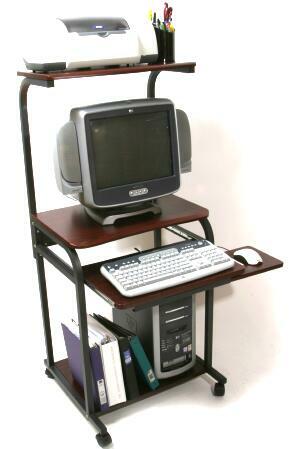 The bottom shelf easily accomodates the CPU tower and a UPS, for mobile operation. The CPU can also be placed on the monitor shelf, next to the monitor. 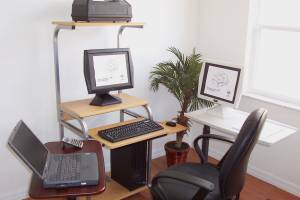 When used as laptop desk or table, the laptop is placed on the sliding shelf, which can be totally stowed under the top shelf. This allows to use the laptop or notebook PC at the ideal ergonomic keyboard height. The printer shelf is removable by simply removing 4 bolts.